Train indoors, outdoors or even online with the HRM-Dual monitor. 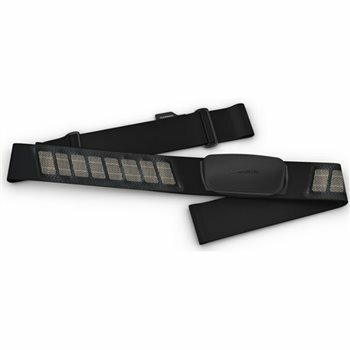 In addition to ANT+ connectivity, this comfortable, soft strap heart rate monitor transmits real-time heart rate data over BLUETOOTH wireless technology. Connect with third-party training apps from phones or tablets such as Zwift, GPS watches, bike computers and even the compatible fitness equipment in your favourite class at the gym plus your Garmin GPS watch or bike computer. Train year-round, and get the accurate, real-time heart rate data you need to take your performance to the next level. You won't even need to think about replacing the battery for up to 3.5 years with average use. Replaceable CR2032 battery when the time comes. No cross-talk with other devices to reliably measure and send heart rate data to help you train in your zone. Removeable measurement pod allows for regular washing of the strap to keep your system hygienic.